The hat, an indispensable piece to be fashionable. It has been part of our outfit for thousands of years. Although it emerged as a necessary element to work, nowadays it is already a sign of class and elegance, even during the summer. Nowadays, hats have become strong in our society. You can see how they culminate any of our “looks”, regardless the weather and the place where we are since you can use it both on the beach and in the city. During the summer, we do not stop doing things: walking outdoors under a strong sun, beach weekends and other outdoor activities fill our leisure time. All these activities involve wearing appropriate clothes to be comfortable, hydrate well, protect the skin against the sun, use sunglasses and of course bring something to cover the head such as a hat. You wouldn’t be the same in summer without a hat. This summer almost just started but it seems that it will come with higher temperatures than ever. In Spain we are used to high temperatures and to walk under the sun. Even so, the hat will help us to make it more easy. Any dress with a hat looks much more glamorous. So, do not be afraid to wear summer hats with dresses, pants, jeans or even with your swimsuit or bikini. You will find summer hats of a thousand types in every single store and at all prices. You will not have troubles in choosing the one that you like. There are essential accessories for summer such as sun glasses or bikinis, but also hats are basic during this season. They are essential to protect head and face from the sun. In addition, it protects you from face and shoulders sunburns and it also relaxes the pupils and eyesight by not allowing direct sunlight to the eyes. 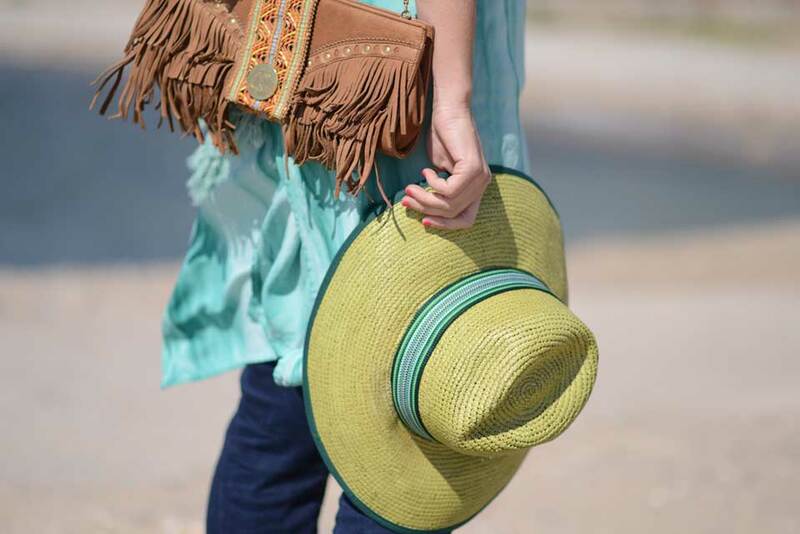 We can find many kinds of summer hats but, the most common, and perhaps the most suitable for this season is the straw hat. We can find straw hats of various styles in many shops: panama, pamela, sailor, floppy or canotier are just some examples of them. What is the best summer hat? We already know that the summer hat is an element that can not be missed in our seasonal look. Besides protecting us from the sun, it gives us a more elegant and glamorous style. You all may wonder: which hat I should use? You already have several of them in the closet but they may not be suitable for the summer heat, so it’s up to you to buy another one. This season we can find, above all, straw or raffia hats that are so fashionable, bucket hats or fishing hats, as well as berets or sea hats. They are many types, colors and sizes but above all they are wide-brimmed and XL-size. It is said that they will be those that replace the classic pamelas used at weddings. 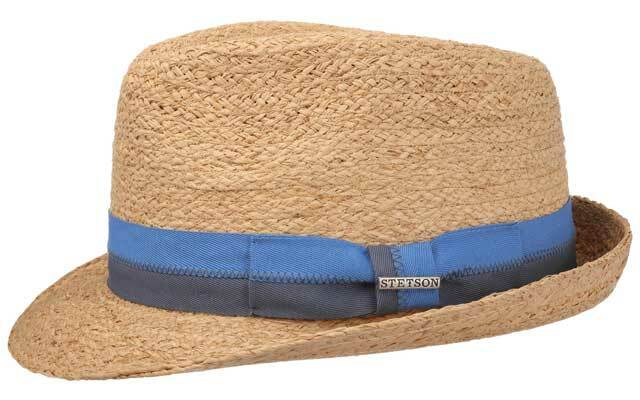 We have compiled this list of modern straw hats suitable to be your summer hat, the one that will give you a distinctive style during these months. 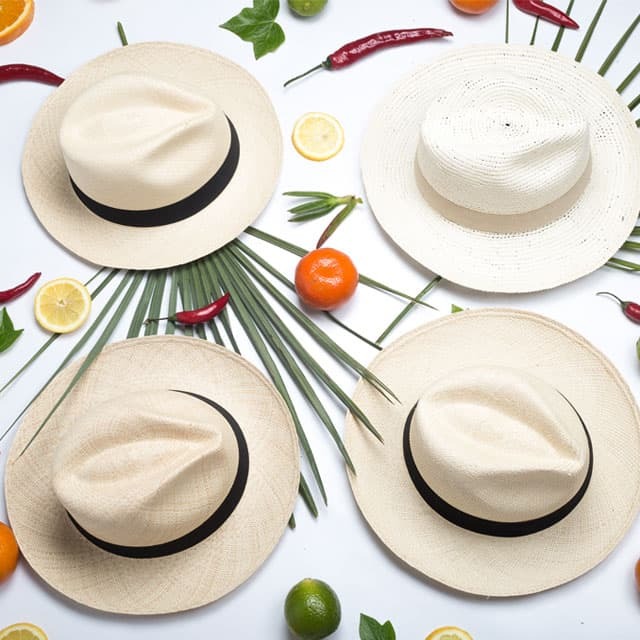 A Panama straw hat, despite the deceptive name, is actually a straw hat made in Ecuador. The products manufactured in South America would be shipped first through Panama before being distributed to the rest of the world, hence the name. The price of Panama hats may vary. If you want a better quality hat, you will want something with a finer straw and a tighter weave. The integrity of the hat will be softer and will have more cotton texture. In general, it will cost more money too. 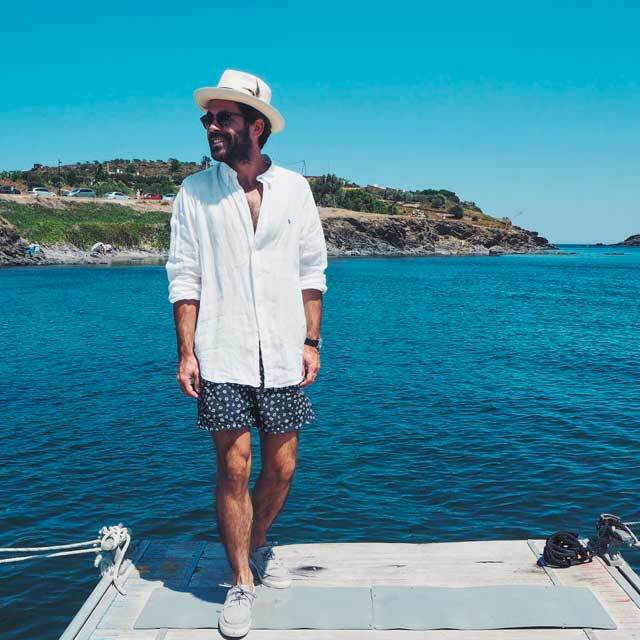 For men, a Panama hat combines better with a casual look. Linen shirts and light loafers are the appropriate attire. If you take too much time to get dressed, you’re probably doing it wrong. This is a hat that was once informal and became popular with sailors and sailors, hence the name. Nowadays they are not as common as they used to be since you rarely see anyone wearing a navigator’s hat in public. Boater hats are usually made of a rigid straw with a firm wing and crown. 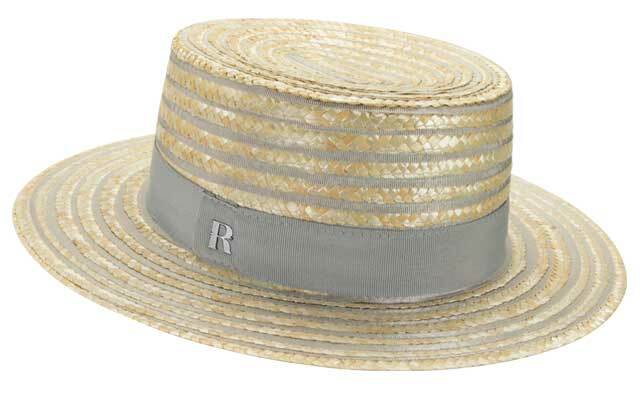 A medium size band with two colors wrap this hat, giving it a very capricious nautical touch. It will depend on you when you want to use it, but they are certainly more used in formal events. The vintage themed parties would be a good occasion to show them off. Another excellent option would be Straw Hat Day on May 15, when historically men would change from their thicker wool hats to their lighter summer attire. Yes, there is a straw hat day. Often called Fedora, the Trilby is the smallest, often undervalued, relative of the fedora. Although the structure and construction of the hats are similar, the Trilby has a shorter wing, so it pushes it into a category of its own. On the one hand, the Trilby has the distinctive privilege of being worn on the back of the head. This version of the felt hat is excellent for bonfires or swaying in the ocean breeze with your feet curled up in a hammock. It is still an elegant option in the United Kingdom today. Sean Connery again made the Trilby relevant when he played James Bond in many 007 actor movies. In the United States, the boy bands of the early 90s had their time with the hat, giving it a more pop style. In 1865, John B. Stetson received credit for the original creation of the American cowboy hat. More than one hundred years later, this timeless legend still finds daily use in the West. The original “Head of the plains” was a waterproof flat-brimmed hat, certainly applicable and functional for practicality throughout the year; everything a tough cowboy would need. However, although it is as brutal as summer, we can not imagine any cowboy who respects himself by exchanging his work hat for anything made of straw. But fortunately we are not in that era, right? The straw hat is a classic for summer. It is difficult for a woman with a hat to go unnoticed wherever she goes. 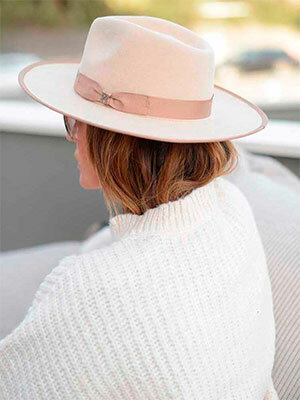 It seems that they have reinvented women’s hats for this season, that’s why it has become such a cool and indispensable complement in any outfit. What are the best women’s hats? If you look at Instagram, the social network where you can finde many fashion trends, the preferred women’s hats are the traditional ones with light and natural colors like beige. We can also find blacks and whites. Something that is fashionable are also women’s hats with phrases embroidered on them. Instagram is already full of girls in summer situations with phrases in the hats that refer to the summer period as: “Seas the day”, “Aloha beaches”, “Out of Office”, among others. The ultimate expression of fashion is still the catwalk. There, this season have seen huge hats that seem to be falling. The designer Jacquemus was the first one who introduced them. This unleashed the madness among the buyers who came to exhaust it, up to twice! In addition, the same designer was very daring and presented a dress made entirely with eight straw hats. Needless to say, this is a very special designer. Since then other brands proposed the same. If you look at the most street outfits or bloggers, trendsetters, the hats are an ideal complement to travel and for any look related to the holidays. Many different types of women’s hats are used here but all of them are versatile and easy to match with any garment. They usually use a fairly light texture and a material very associated with summer, which is fun to combine with other typical summer elements such as monkeys, lenses and colorful prints. There are accessories among the garments that, by themselves, have style. For example, the hat. This is known by some famous people such as Pharrell Williams, Ben Harper, Patti Smith, Jared Leto, Bruno Mars or Jovanotti; thanks to them, men’s hats are back. Before the fifty’s, there were not a single man who did not use it. Nowadays men’s hats are less rigid and they are not used in formal situations as before but still give the wearer a great personality and elegance. The shapes of summer hats for men are varied. The most used is the Trilby (mentioned above), which became famous thanks to Frank Sinatra. The Fedora and the Sobrio, also mentioned above are also quite used. The berets give a classic look to the wearer. Whether cotton or linen, it is a very suitable garment for summer, as well as the bowler hat or the top hat. All of them British.